Christmas means jewelled fruits, winter nuts and plenty of vegetarian options – even if they’re sometimes hard to find. If you’re passionate about seasonal food and you’re serving a veggie this Christmas, here are some ideas for adding interest to their plates. Vegetarian Christmas dinners can be tricky. 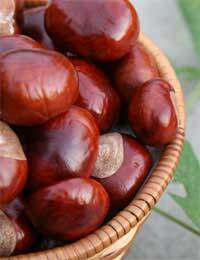 If you’re bored of nut roast, take a look at the seasonal food crops for inspiration. Cranberries will brighten up a rice-based stuffing that can be used for the turkey and for pepper halves, to make a cheery vegetarian main course. Nuts are, of course, in season now, and they’re a great option for veggie mains. They will top up your protein intake and have all kinds of possibilities. Aside from nut roasts, they can be used in gratins, pies, and strudels. Winter roots add starch and interest to vegetarian stews and filling pies, or they can become elegant winter tarts or gratins. Take inspiration from the season, and create a menu that highlights the very best seasonal food. Make individual pies for a neat presentation. This pie goes beautifully with the traditional Christmas accompaniments – roast potatoes, mashed potatoes, steamed vegetables and roast parsnips – and you might consider a creamy squash gratin or red cabbage stewed in red wine to bring a little extra moisture to the plate. Alternatively, make up some vegetarian gravy: Caramelise two onions in a wide pan for at least 15 and up to 30 minutes. Add 1tbsp flour and cook for a minute, then cover the onions generously with good vegetarian stock and simmer for 10-20 minutes. To colour it, stir in 1tsp of marmite or soy sauce. Warm the olive oil in a wide pan and add the onion and garlic. Turn the heat to low and let them soften and caramelise gently for about 20 minutes, without browning. Stir in the lentils and continue stirring for a minute before tipping in the wine, and letting it sizzle until there’s not much left. Mix the tomato puree and vinegar into the vegetarian stock and pour it into the pan. Now simmer the mixture for 20 minutes, or until the lentils are quite soft and there is hardly any liquid left. Taste for seasoning, sugar and vinegar – you may not need any salt. Stir in the chestnuts, and set the mixture aside to cool. Put the diced fat into the freezer for a few minutes while you weigh out the flour. Tip in the fat and use a knife to cut it through the flour, then use your fingertips to reach a fine crumble consistency. Using the knife, stir in the egg, adding just enough water to bring the pastry together (stop while there are still a few crumbs and use your fingers to bring them in). Wrap in clingfilm and put into the fridge for 30 minutes. Then flour a board and roll the pastry out. Cut rounds to fit your pie tins or, if you don’t have a pie tin, cut eight rounds of 12cm. Place four rounds on the tray and pile up with filling. Brush the edges with milk and cover with lids, pinching to seal. Bake at 180 degrees C for 30 minutes and cool slightly before serving.